Ask about having any of Kirk McGuire's creations enlarged for monumental installations. 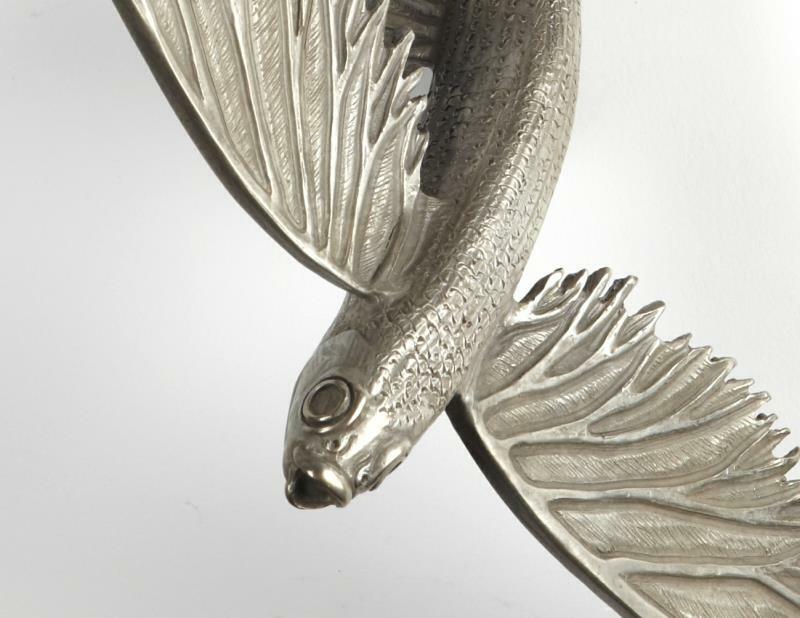 Flying fish amaze me! Like so many of our oceans creatures do. 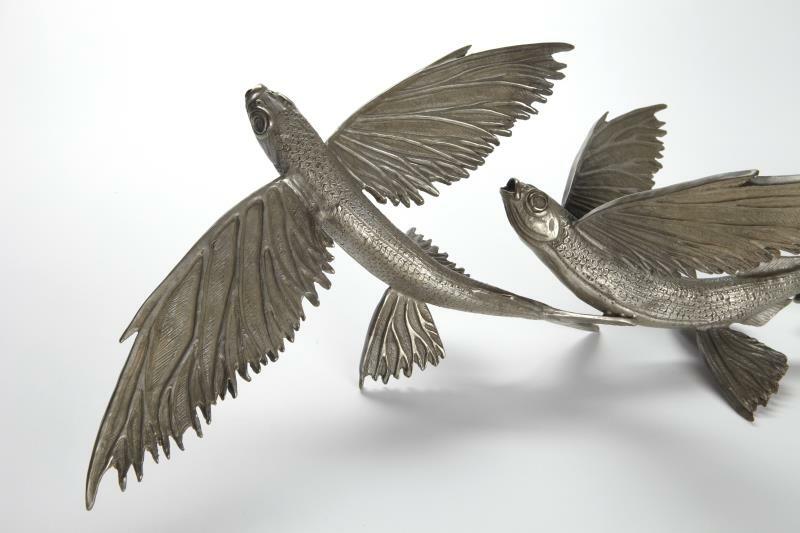 Flying fish is Barbados' national symbol, but are found around the world Flying fish can make powerful, self-propelled leaps out of water into air, where their long, wing-like fins enable gliding flight for considerable distances above the water's surface. 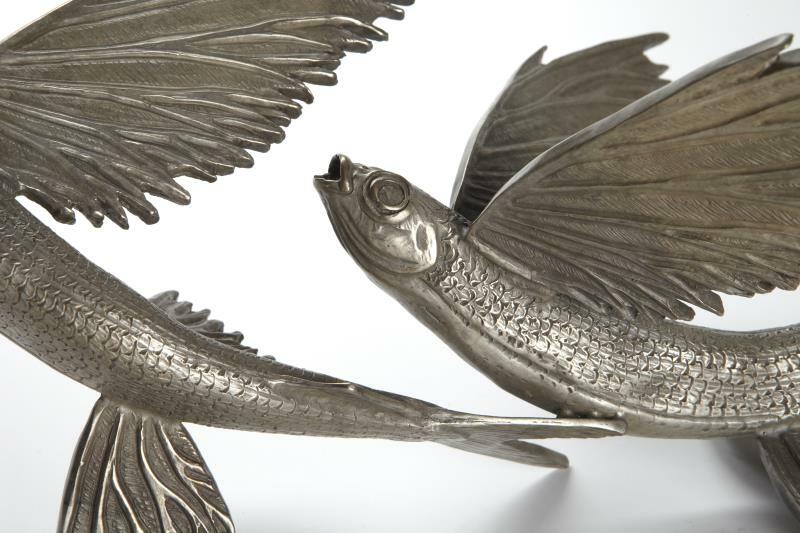 From 1900 to the 1930s, flying fish were studied as possible models used to develop airplanes. I just think they are cool! This is another of my 'free standing' pieces and can be placed almost anywhere you like. I can also enlarge these for larger installations if you like.